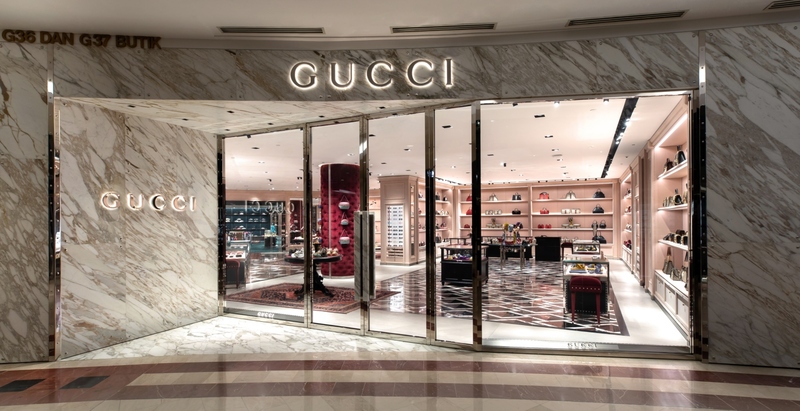 The Italian luxury fashion house, Gucci opens its newly renovated store in Suria KLCC and the 4,438 square-feet space is a unique shopping experience for its wide and diverse clientele. 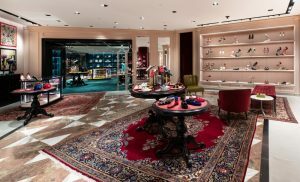 The refurbished outlet provides a complete array of women and men’s accessories such as luggage, handbags, shoes and eyewear to name a few. The highlight of this new Gucci home is in the discreet interior design: combinations of opposites were intentionally put together to create an interesting and new aesthetic. Plush velvet chairs juxtapose the industrial rivets while the layered vintage rugs warm up the varnished iron walls. These unexpected yet delightful touches truly add a personalised and enchanting feel to the new space. The Canadian born designer of Singaporean-born brand, Lisa Von Tang shares her personal essay exclusively with BAZAAR. The first collection is inspired by their cult scarves.